"In 1992 a Japanese exclusive adventure for the Nintendo Game Boy known as Kaeru no Tame ni Kane wa Naruhit Japan. Although remaining an exclusive release to the Far East, many would soon experience what the game had to offer as its engine was reused to create The Legend of Zelda: Link’s Awakening. A decade later Nintendo began work on updating the title and colourising it for the Game Boy Color - only it was soon shelved in favour of the upcoming Game Boy Advance line up. Fast forward to today and retro gamers have already begun picking up where Nintendo left off. 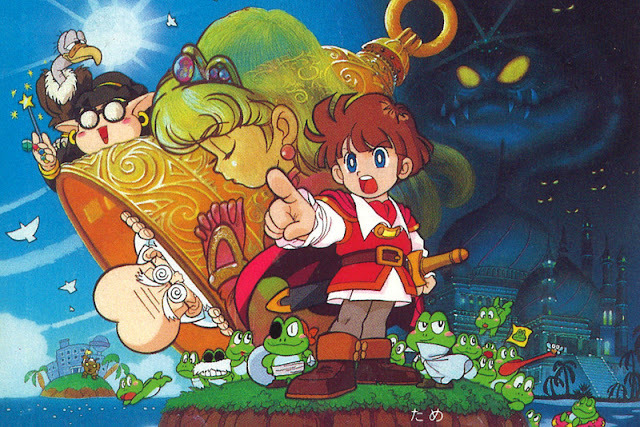 This has seen a fan translation of the game released (with the newly translated title of For the Frog the Bell Tolls), and now ROM hackers are working on a DX version of the game in a similar vein to Nintendo’s Link’s Awakening DX. Taking to the ROMHacking.net forums, toruzz recently revealed screenshots of his work in progress and also a quick video detailing the hack in action. Needless to say the game looks fantastic in colour and already has plenty of fans lining up to play it. A release date is yet to be set for this DX upgrade, but until then, here’s a few quick samples of the game in action."